The one thing that separates good players from GREAT players is basketball PRACTICE. Talent can only take you so far if you don’t have the hours of practice to prepare you for the big stage. When you know you’ve put in all the hard work and gave it your all, when it comes time to perform, you have nothing to worry about. It’s when you know that you could’ve done more or didn’t give it your best that you start to doubt yourself and see where your skills lack. Many basketball fans recognize Michael Jordan as the greatest basketball player ever, but what many of them don't know, is the COUNTLESS hours he spent with the ball and the hoop practicing techniques AGAIN and AGAIN and AGAIN. We all have things to do (school, work, family, etc...), but if you want to be the best player you can be, you got to find/make time to practice. There are many many basketball players in the world that have the talents and/or have the smarts, but because they don’t combine the proper technique with the hours of practice, they eventually hit a roadblock and quit. Take a moment to assess your game. What areas have you noticed could use improvement? Write everything down, anything. It could be a basic skill such as dribbling or it could be shooting from a certain spot on the court or your defensive skills. Then grab a ball and take it to your local gym or your local playground. Shoot a 100 jumpers each time if your shot isn’t so smooth. If you often walk places, dribble wherever you go. Whenever you have an idle moment, think about some plays and how they might develop. 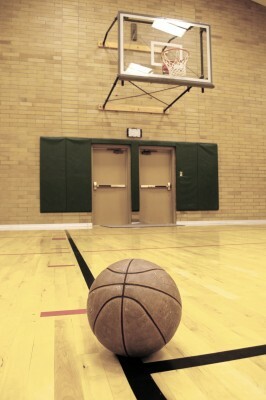 Remember, basketball practice precedes basketball success.